Digital meets power equipment. 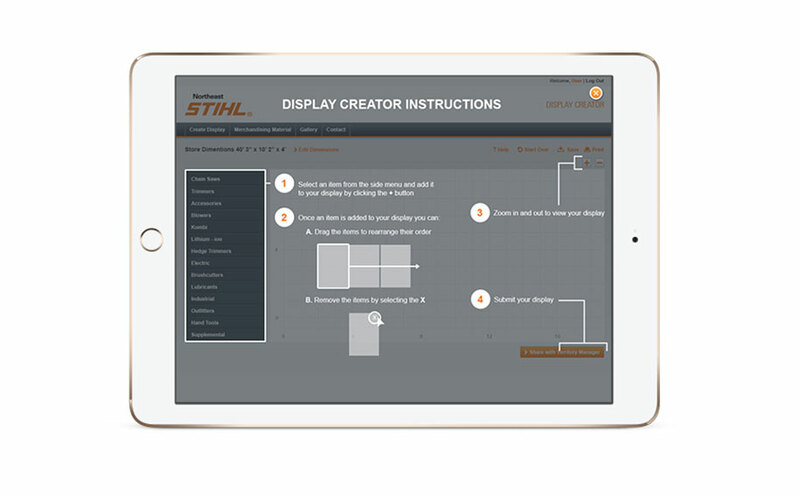 The Stihl Showroom Solution enables users to virtually create Stihl retail displays for their stores. 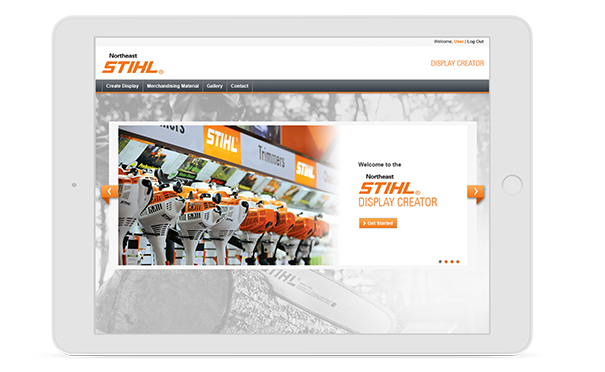 Our agency partnered with Northeast Stihl to create an online web application for vendors to design and order their Stihl store displays and products. 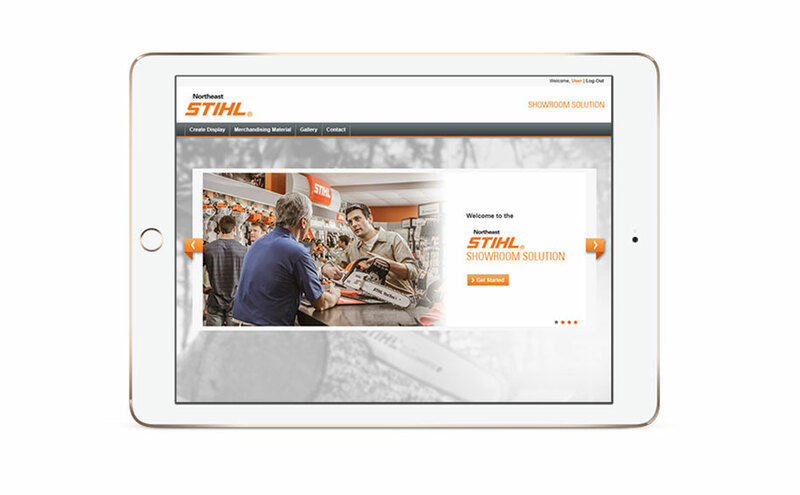 Northeast Stihl approached Mediaboom to design and develop an online app for vendors to virtually build Stihl showrooms and displays for their stores. Vendors could log in and drag and drop various Stihl products to create the displays of their design, and send these plans to Stihl to arrange plans for the showrooms to be built. 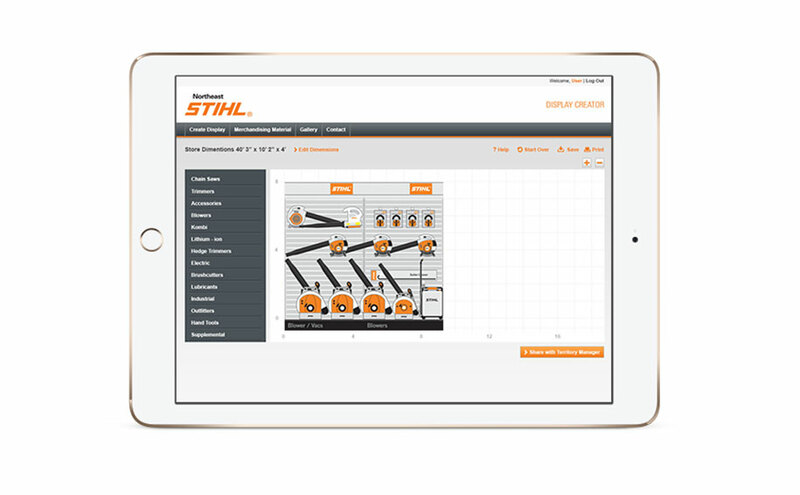 The app has been highly successful and is currently still being used by Stihl for it’s showroom building solution.